Algiers: Algerian President Abdelaziz Bouteflika on Monday again defied mass protests calling for his immediate resignation, insisting on a plan to elect a successor only after a national conference and new constitution is approved. The ailing 82-year-old also scrapped the election set for April 18 and announced he was rolling out reforms through a “national conference”. The forum will take "decisive decisions", state television quoted him as saying. A new constitution will then pave the way for a new president, the private Ennahar station added. “(I hope) that Algeria experiences, in the near future, a harmonious transition and assists handing over the reins to a new generation,” he said in the statement carried by state media. “This is the ultimate goal that I have committed to making a reality before the end of my presidential mandate, at your side and at your service,” added Bouteflika, who has ruled Algeria for 20 years. He added "I'm confident the Algerian people are wise and able to overcome all difficulties." In a statement, the independent Collective of Algerian Medical Residents (CAMRA) urged medical students to take part and denounce the "ruling gangs". 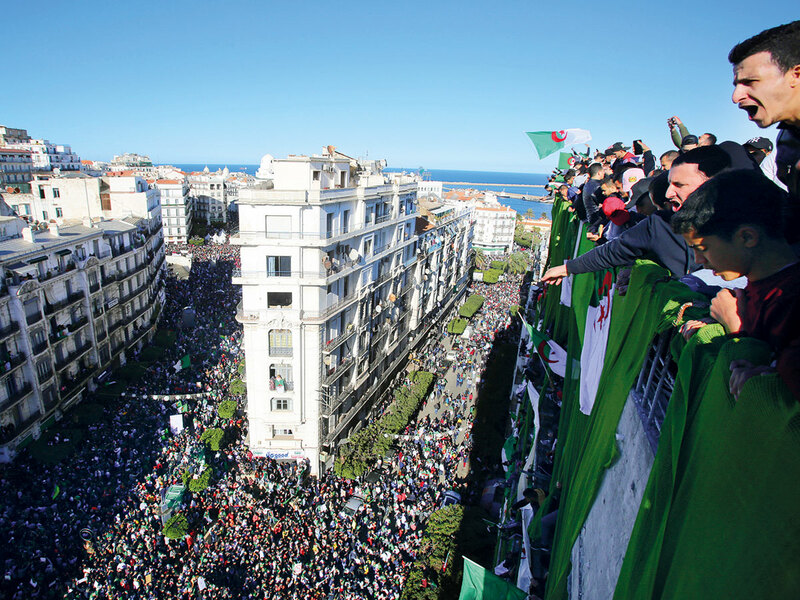 Authorities have previously warned that the protests risk dragging Algeria into instability, comparing the rallies to those that sparked Syria’s ongoing war. “We must be aware of the dangers that exist. Talking about Iraq or Syria is not an attempt to tell the population to hold still... we tell them to go ahead with their open eyes,” he said in a national radio interview.